Click here for the proper way to clean your markers. 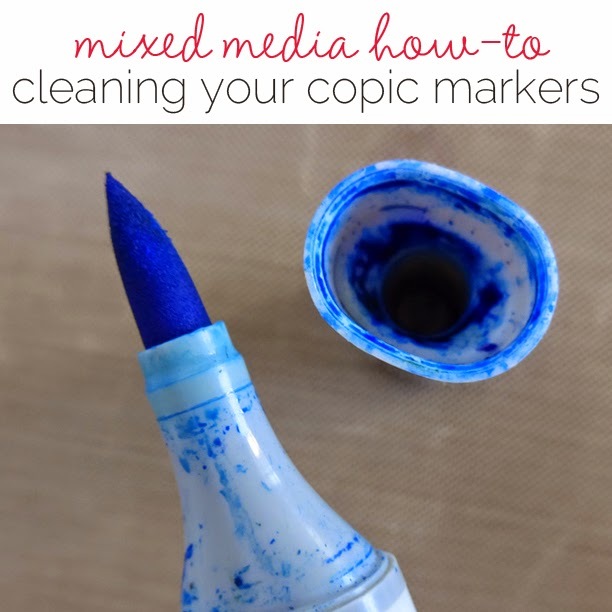 I was so excited when Michelle Houghton, one of our wonderful Papercrafting instructors posted this article on Debbie Hodge's blog on the proper way to clean a dirty marker. 2014 is nearly over, can you believe it? We have so many classes starting up next year that I can't help but get excited! If you haven't taken one of our great introductory coloring classes, then I encourage you to make this your year to learn. 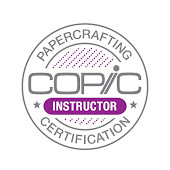 Visit the Copic website for a full list of 2015 classes and locations near you. Scroll down the page to see all the workshops and which classes are open now and which classes will be opening soon. If you took one of our classes last year, we encourage you to retake, as we have new manuals, new content, and so many exciting changes! The other day I was going on a date with my husband. I was suffering from a touch of BG05’s. Something needed to change my mood, so hopefully a nice date would work and decided to be YR18 about the whole thing. I was in the bathroom, getting ready for our dinner. Usually I go for the E04 look, but I decided tonight should be special so I reached for the R29 and proceeded to get ready. From the other room, I could smell the YR14 G14 that my husband was making. I love those! I hope he added some crushed E89 or YR30….mmmm! After finishing in the bathroom, I wandered out to the kitchen. Along with the YR14, he had bought some RV11 RV52. It was such a RV23 it made me smile, and it made my mouth water. “I love you Y38,” he said, as he presented me a bouquet of V12, V20, V05, and R43. I must admit, it made me R20! “What do we have BV29ed for tonight’s date?” I asked, as I looked into the deep E08 B79 of his eyes. “I was thinking a romantic dinner date.” He said, reaching for his E39 wallet, tucking it into his E84s. I threw on my Y32 sweater and headed out the door with him. The B97 B24 was beautiful. The pale BG11 glowed on the YG17 and G29. It casted soft BG10s on the G24 across the street, along with our neighbor’s E01 in the yard. Later that night, we sat down to a lovely dinner at a charming restaurant. Our table was decorated with V06 and RV69s. The Y17 candlelight warmed up the dark E59 table. It was so romantic! We stated out with some R24 appetizers, followed with a small YG05 with sweet slices of YR16 and BV04, and a side dish of some sautéed V28. We then enjoyed the main course of E23 encrusted RV42 with just a hint of Y26. For dessert, we had a lovely RV66 and V25 cheesecake. As we were leaving the restaurant, I grabbed a BG53 off the waiter’s stand. Waiting in the doorway, my husband paused and looked up. There, under the G46 he looked at me, his eyes twinkling from his E13 face. “I love you Y38!” he whispered as he gave me a tender kiss. I returned the favor, leaving R29 on his cheek. Just then an older couple came up to the door. As we scooted to the side, the dear sweet lady said to my husband how he had such a nice face. My poor husband! He realized then that the R29 was perfectly planted on his cheek. It made him R20 RV29. We both laughed as we headed back to the car. I could truly say that after that date, my BG05s were over. 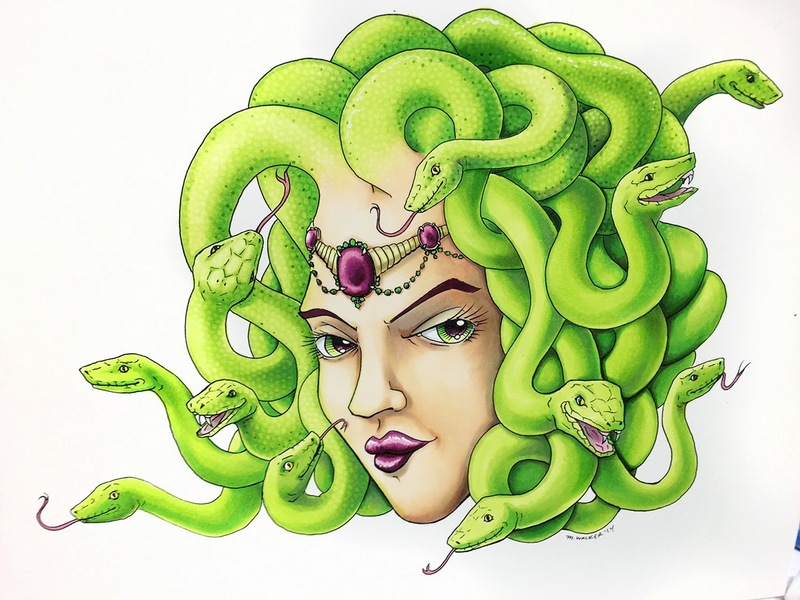 A few weeks ago I had a chance to color a few projects, one of which was the Medusa which I already showed you. 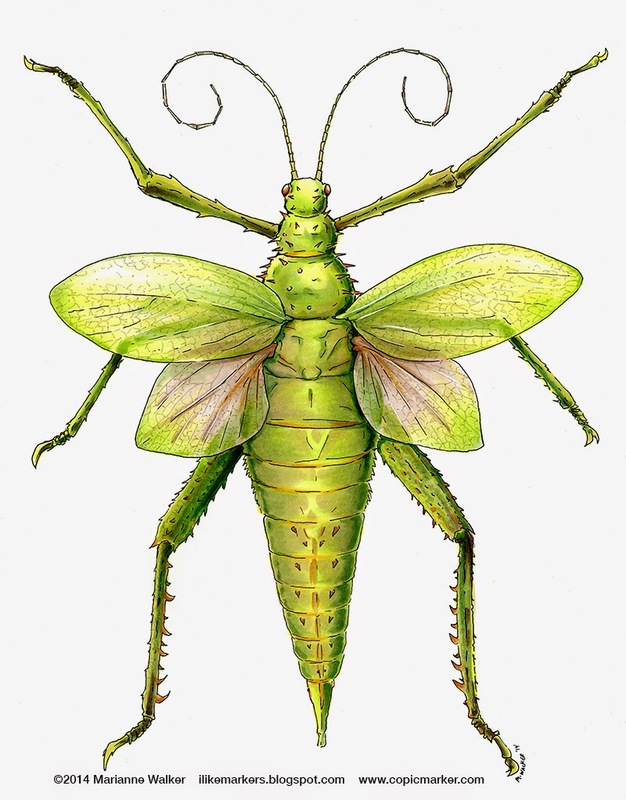 The other project I finished was this giant Green Nymph Stick Insect illustration I drew. I started by looking at the original photo and drawing it in pencil, then inking over it with a 0.1 mm multiliner. Then I photocopied the outline onto our nice, Sketchbook paper (full sheets that are not bound in a book are from our new Art Paper Pack). The photograph is pretty dull, and I figured it wouldn't hurt to brighten up the colors a bit, so I chose to color it with a base of YG01. Then, I layered on YG03 and YG61, looking at the color placement on the photograph. 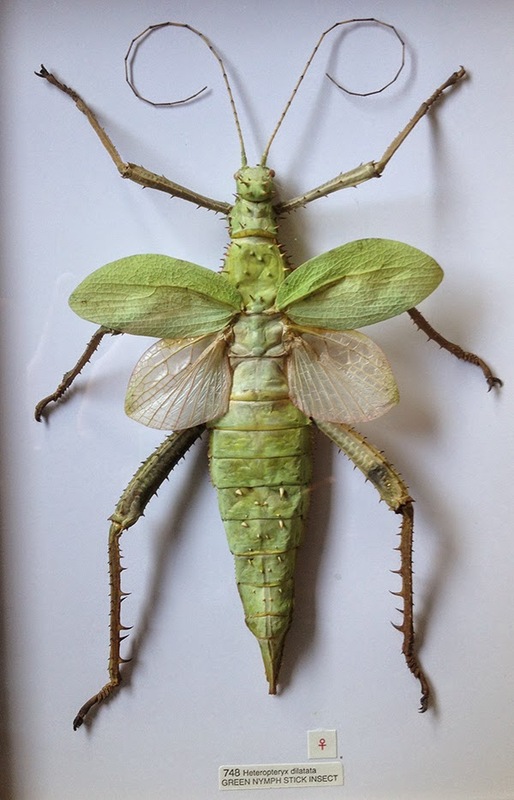 However, the photo looks like a dry, dead bug, and I wanted this bug to look a bit more alive, so I rounded my blending a bit more to make it look less flat. To dull the colors slightly I added whisks of YG91, and deepened shadows with G94, G17, and G28. To really darken shadow areas, I pulled in E49 in the darkest shadow areas. You'll notice the bottom wings are a slightly different color. I colored those wings with a base of E70 and hints of E74. I smoothed it out with E21, and added the lighter greens to the wingtips. The darker, orange/browns you see in the veins and on the little spikey bits, I colored with YR27.To make the wings look a bit more transparent, I used the colorless blender to fade them out, and wash out the colors a bit. Then, although it doesn't show up as well in the original photo, I wanted the wings to look even more transparent, so I lightly drew in where the legs would be, if they were visible. I kept these colors lighter than the greens I used on the legs, and I made the edges soft so it really looks like they are peeking through the wings. At this point, I really like how the bug is coming along. To keep my colors consistent on the legs, I colored each pair individually, instead of coloring all 6 legs at the same time. In the photo, the two large back legs have a totally different tonal quality, but I chose to color them more balanced, just changing the lighting on each leg slightly. Then they match better. Here is a photo of the stack of colors I used for coloring the bug. Because I drew the bug so large, I have plenty of room to use all these beautiful colors. I love having lots of room for tiny details! The last detail that I really wanted to work in were the beautiful veins on each wing. I didn't want to draw them in with a black pen, as that would have overwhelmed the drawing. But, I also needed to draw them in something that wouldn't run, should I decide later to add more marker details. That ruled out colored pencils. So, I worked with one of our new Warm Gray multiliners. You can see in this close up how detailed I can get with the 0.1mm Warm gray. I love it! It doesn't overwhelm the colors underneath, merely accents it. On the top wings, where I colored it the lightest, I added fewer veins, I more gave it the suggestion of veins. This heightens the feel of a highlight. Here is the final bug, complete with Opaque White highlights added to the wings for details (Opaque white with the super-fine brush). I hope you enjoyed this illustration process and got some ideas for your own work. May you have a blessed Thanksgiving Week! 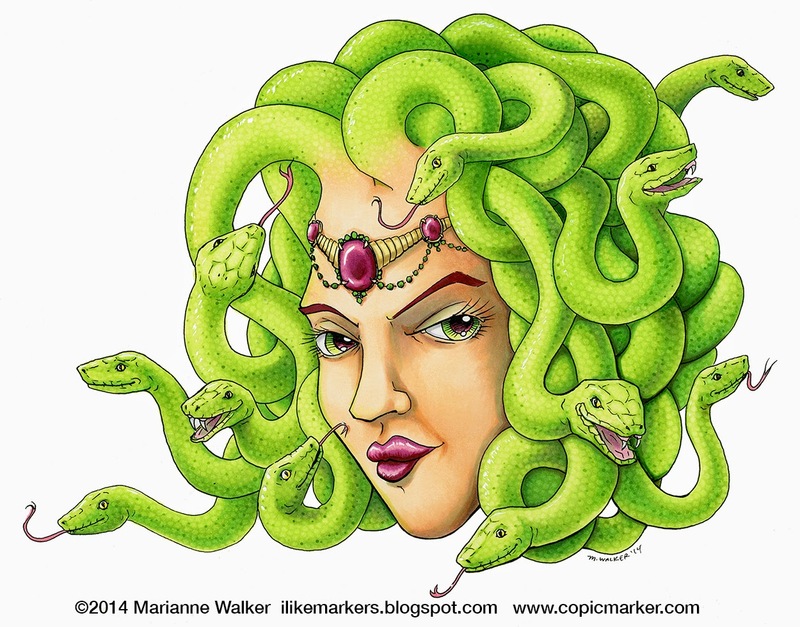 Friday I showed you the steps I used for the first part of this Medusa image. Today I'm going to step you through the finishing touches I used to make the snakes come to life. This process isn't complex, it is just very meticulous and precise, so it gets an advanced label. Once the entire mass of snakes were fully shaded and blended as smooth greens, I needed to add texture. This part took hours to complete, but I am thrilled with how the final result ended up. Each snake scale was made by carefully touching the artwork with the fine nib of a colorless blender in the Copic Classic marker style. The longer you hold the blender in one spot, the more it will push color out of the way. I could have used a textured cloth or something else to do this step faster, but I wanted to carefully and precisely place all the scales in such a way as to enhance my illustration. Once the green scales were added, then I took a YG17 Sketch marker and carefully added a few dots of darker green randomly in the shadows on the snake. This makes it look more like scales. Last, I went in and added shiny white highlights with the Opaque white with a brush. Compare the top and bottom version of this step. The top is fine, but the bottom has a lot more variety and subtlety to the coloration. Here is a shot of the head partially colored. Compare the snakes that have scales to the snakes without. The scales really make the snakes look even more alive and believable. Last, here is the finished, color-corrected version of the illustration that I scanned in. You can see how I added hints of Opaque white to the gemstones, to each snake, and to the teeth. Overall, I am pleased with the way it came out and I'm excited to add this piece to my portfolio. Later I'll post some more tutorials from the other pictures I colored this week. Enjoy coloring! This week I had the rare chance to color for two days during a demo at the U of O Bookstore here in Eugene, OR. It was nice to meet people and get a chance to draw and color whatever I wanted. I've been thinking all week what I wanted to work on, and Sunday the idea finally came to me to draw a Medusa head. Sorry some of the pictures are blurry, but the lighting was not the best. The whole piece took about 6-7 hrs. to color (though I was talking to customers during that time as well). I used a lot of colors, but I'm really pleased with how the final image came out. I started by coloring the face with a base of YR000, then added shading with E21 and E13. I deepened the shadows with BV31, and BV02. I added hints of YG01 into the shadows, as the snakes will be reflecting greenish light back onto her skin. I added highlights to her cheeks with a soft swipe of Y00. Her eyes are YG01, and YG07, with the pupils colored in RV69. Her lips were shaded with a base of R81. Then, I darkened the lips with RV66 and RV69. I colored her golden jewel circlet with a base of Y2, then shadowed it with Y28 to get that perfect gold shadow color. The red jewels are colored with R81, RV66, and darkened with RV69. Notice I left the highlights on the gems to preserve the feel of luminescence. Once I was comfortable with the way the face was looking, I moved on to the snake heads. I started by putting a base layer of YG01 over everything. Notice how I carefully blended the green from the snakes into the pale skin color. I carefully and lightly flicked them into each other, I did not go back and blend or that would have made muddy colors. I colored the snake mouths with the same pinks and reds I used on her lips and jewels. Next, I began shading each of the snakes. This was the most tedious part of the whole image. For snakes in the foreground, I mostly used YG01, YG03, YG07, and hints of G28. For snakes in the back, I added YG23, as it is a little grayer green. I also added a few subtle shadows of BV00 to dull down the colors and make them look more shadowed. I also added highlights to her lips using the Opaque White with a brush. it was perfect for those fine details. Here is a mostly done shot of Medusa. In a few days I will show the remaining details I added to make her snakes look even more interesting. I hope you have a great weekend and get a chance to color! Can you believe that 2015 is just around the corner?? Eeek! I was just getting used to 2014 and now I'm thinking about the classes I'll be teaching in January. I have some great workshops and classes coming up around the country, so if you see something nearby, sign up! In December I will be visiting Arizona and teaching some great classes based on the popular tracing Memories program. Come and learn how to convert your own photographs into outlines you can color with Copic markers and turn into your very own custom works of art. No experience needed! These are great classes for both beginners as well as advanced Copic users. Dec. 4th, Occasional Artist, Glendale, AZ Photo Coloring Workshop, contact the store for details. 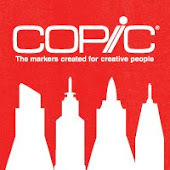 In January, our new round of Copic Classes start. You can register now for all of our classes held in Anaheim, CA during CHA. Click HERE for details on these classes. You'll see our classic Certification classes offered, as well as some new Color & Ink workshops. More Faces and Hair gives you different images and different challenges than last year's class. Vintage Values and Monotones teaches you how to adapt your coloring for sepia, grayscale, or other color variations you may not have tried yet. Then, Dress For Success, Clothing and Accessories will step you through ruffles, pleats, leather, and more. 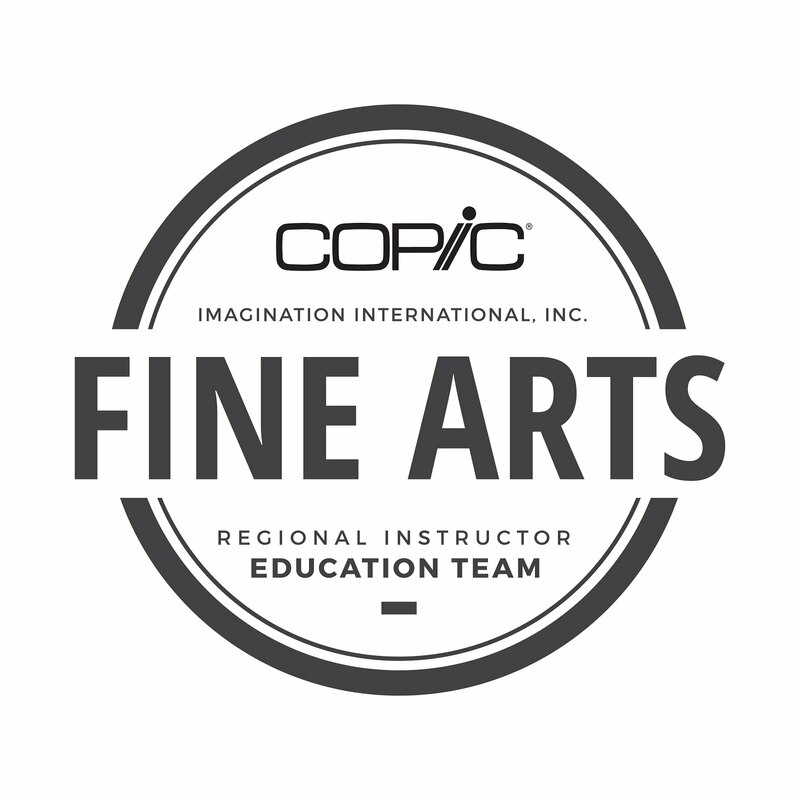 I will be teaching Tracing Memories, Coloring Photo Line art, teaching you new things to do with your markers and digital photography. And, a new exclusive, Coloring Flowers, a fabulous class for both beginners as well as skilled Copic users where we color nothing but flowers and leaves. You'll learn something great from each class, so register today!